Aunque Internet Explorer 10 sigue siendo un producto para un futuro bastante lejano, puede a que a los usuarios de Windows Vista no les haga mucha gracia la nueva información que ha salido acerca del próximo navegador de Microsoft. 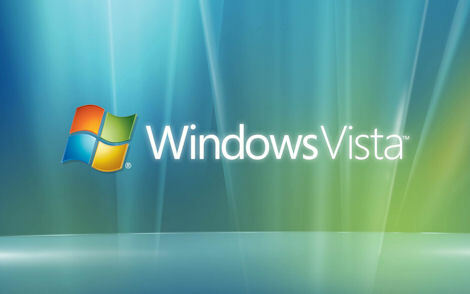 Y es que según han informado los de Redmond, la gente que todavía tenga Windows Vista no podrá usar Internet Explorer 10, es decir que tocará pasarse a Windows 7. Esta decisión no es muy rara ya que con Internet Explorer 9 pasó lo mismo, no era compatible con Windows XP, y de hecho gran parte de la culpa de que los resultados en su lanzamiento no fueran muy buenos es culpa de esta decisión. Microsoft quiere incentivar el cambio de sistema operativo mediante estos movimientos y no tengo muy claro que sea lo mejor para el navegador. When you are by now knowledgeable about or have your personal uggs outlet Blogs, you already know just how functional these are. They are essential with regard to cheap uggs business requirements and achieving larger has a high ranking in the yahoo and google. Oasjbviously, for a innovative web company owner, Blogsthe whole matter with themcan always be frightening. I simply wanted to opinion your blog in addition to say i definitely enjoyed reading your site post right here. Really great blog. I like this information really its very nice collection of the great information.thanks for sharing the information. i like to see it lap the miles.. I really appreciate to read to it. I have visit to your blog so many time. Material isn't all there's; there are tons of various other approaches which you can use to improve the outcome your cheap kids ugg boots for sale Content in addition to uggs outlet content enhance uggs outlet viewers. Achieving stronger along with heading submissions are the main topic of modern where can i buy cheap ugg boots document. As you know already, cheap ugg earmuffs Blogs and forums are usually virtually the most common websites pertaining to uggs outlet internet sites, regardless of you would like to utilize the uggs outlet websites with regard to. If you wish in order to adjust the ugg boots on sale operations, there's a lot of the two basic and specific cheap uggs facts you'll want to fully grasp. You can't really deal with all things in only one article but it is very easy to offer a few real as well as some solid assistance with getting a Blog style.There is certainly a whole lot details to choose from with regards to Information sites and using the crooks to oneewrys benefit the fact that amount of data in existence has gotten to the purpose of over-filling most people. Si vous êtes maintenant connu ou d'avoir vos propres sites d'information lancel, vous savez déjà comment ils sont flexibles. Ils sont essentiels en ce qui concerne fins commerciales sac lancel et obtenir des grades supérieurs tandis que dans les moteurs de recherche comme Yahoo. Bien s?r, pour toute nouvelle nette propriéteaire d'entreprise , Blogsthe sujet tout themcan devenir intimidant. I am really stunned at this blog! Very obvious description of problems is given and it is start to everyone. thanks for publishing this perform of yours..this is very good!